WE LIVE IN DIFFICULT TIMES. How shall we meet them? Last week there was an onslaught of events that lead to feeling hopeless. I wrote a list, didn’t want to start with it, then knew it was necessary. Skip it if you need. “The End Of The World As We Know It” was the phrase used by the usually cautious NPR as they talked about the retirement of Justice Kennedy and the U.S. Supreme Court becoming a 6-3 conservative majority. Also Thursday, the Minnesota Public Utilities Commission approved a Certificate of Need for Line 3, in disregard of the overwhelming public opinion, the unanimous opposition of the four tribes directly affected, and the Department of Commerce position that Minnesota does not need it. Background: Line 3 is aging and should be taken out of service. Among those who support pipelines, there is debate about replacing it in place versus building a new route. Among those concerned about climate change, it is clear that we need to end fossil fuels. That topic was not allowed into the room. The main room was filled with high school students, paid $30/hour by Enbridge to arrive early, get tickets, and sit there wearing pro-pipeline shirts. I was there Wednesday for a short while. The policy of separating small children from their families at the border was replaced by a policy of indefinite detention of those children with their families. The children already separated are being lost; families are often not reunited unless the adults agree to deportation – and, rumor has it, often not then. Background: This is actually not new or unAmerican at all. Residential schools for decades tore children from the arms of their families, seeking to “kill the Indian, save the man.” Children died, or were irrevocably harmed. In slavery, children were routinely sold away from their parents. The Japanese internment camps imprisoned families together. We do not have a virtuous history. We have a history of genocide. Turning immigrants into felons is new. Many of them are actually refugees, from countries destabilized by wars or economic policies of this government, but there is essentially no legal path for refugees now – according to numerous reports of people who tried to enter legally. The Supreme Court supported a lawsuit against “fair share” union payments. In this practice, nonunion members are required to pay a fee reflecting the benefits they get because unions negotiate contracts – not including any lobbying. The claims made (that those fees supported union political work) are blatant lies. The difference in average wages between anti-union and pro-union states is $6000/year. Incidentally, the IWW never participated in those agreements. Massive droughts are happening in food-raising parts of the country. In addition, as farmworkers are deported (or leave before deportation), there is nobody to harvest crops. We’ll be facing massive food shortages – for some of us that just means higher prices, for others it means hunger – and there’s no reason to think things will get better. Black people are being shot by police so fast I can’t keep up. I think there were two last week, and one of the shooters is being charged with murder. As a white person from northern Europe, I try to imagine if my grandchildren were targets in that way – never knowing if they would come home. Five people shot at the Capitol Gazette – just more violence. I don’t have an answer. So here is what I’m doing, day by day. Working for money. I’m fortunate to have work I like, though I’d rather be a full-time Zen activist. Being with the land, including gardening, working with nursery plants, and occasionally spending time on the hill or by the river. It’s nourishing and also a place for learning, watching the habits of my mind as I seek control over invasive plants and animals. Who is the invader? I keep forgetting. Daily meditation and chanting, offering the energy of this person back into the universe. And receiving. Ordinary life – the truck needs to be fixed, the berries picked, dishes washed, all the rest. Relationships, taking care to be with friends, family, and others in a nourishing way. Resisting the slide into depression. Following news, sometimes analysis, often too much, but enough to still be aware and to consider responses. Tending the deeper thing, the matter of relationship with the life around me. There may come a time when I choose to be on the streets, or to risk arrest, or some other direct action. I do my best to be slow, centered, connected. Not well and not enough, but this is crucial. Imagine living in a culture in which there was enough for everyone. Enough safety. Enough food, of good quality. Enough access to the natural world. Enough love. States, cities, and churches suing over these practices and others. The occasional court victory, such as the dismissal of cases against another 30 Standing Rock water protectors. However, if you don’t know about SLAPP suits, lawsuits brought for the purpose of chilling public participation, please read this for help understanding the nature of our society: https://anti-slapp.org/what-is-a-slapp/ Also consider that it’s considered a victory merely to be allowed to bring a suit, or to be allowed to present certain evidence, or to use a defense based on avoiding greater harm (such as climate change). Individual humans are risking death, getting hurt, being uncomfortable, spending months away from whatever their ordinary life was, commuting hundreds of miles to court dates which then get rescheduled repeatedly, spending weeks and months in jail – to temporarily hold off a wave of repression and permanent environmental degradation. I’m reminded of the little Dutch boy putting his finger in the dike: so small, so personally expensive – may it succeed. Cultural changes: In the water and land protection battles going on currently, it’s become standard practice for the indigenous groups to lead, for white-led groups to follow. As they/we should: White American culture is toxic. 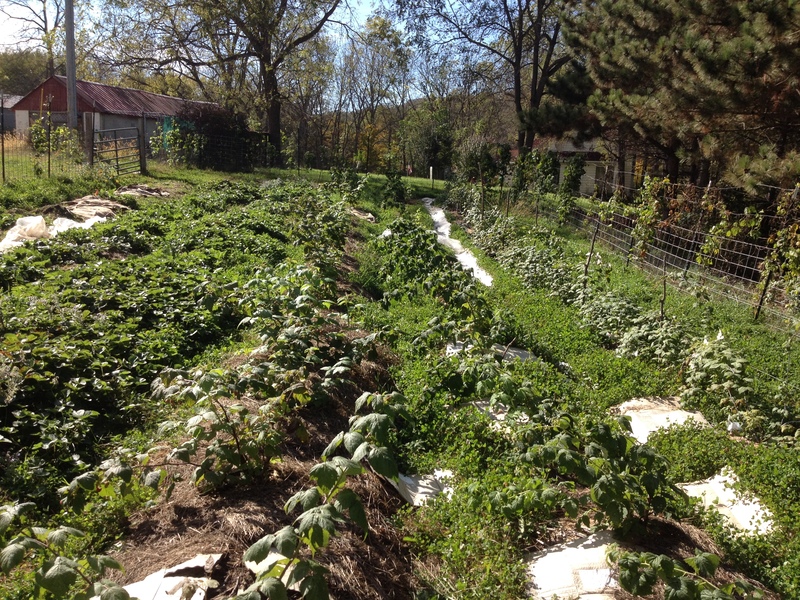 The ranks of small, organic, permaculture, sustainable or regenerative farmers are growing and growing, and organizing. This is relevant to food security, and also a matter of the cultural change so needed. I exist within this network of small farmers, though not actually farming. Religious organizations – conventional ones – are increasingly on the side of the oppressed, the the humans in need, the planet – Consider https://isaiahmn.org/ as one of many examples. They are remembering their origins. May it be so. Martin Prechtel, in The Unlikely Peace at Cuchumaquic: The Parallel Lives of People as Plants: Keeping the Seeds Alive. His teacher, at dying, sent him to the United States to keep the sacred seeds alive. Finally he writes: “For ever after that, the seeds I was trying to keep viable were no longer “my” seeds of the Seeds of Tzutujil spirituality, but the seeds that every citizen of the Earth has somewhere tucked away inside themselves, or outside in their lives, or somewhere in the ground, or lurking around the family baggage, or hidden in their bodies. In dreams or inexplicable proclivities, but always somewhere they never look or know anything about. These seeds were the seeds of that very precious thing we all have that contains embryonic caches of possible understandings of how to live ritually and intactly with an indigenous mind, seeds that have been bequeathed to us all from our own more intactly earth-rooted ancestral origins from millennia previous. It is our real selves that will find a way. Please listen deeply within for your real self. And please listen outside as well, to the you that is in other people, in lands, in animals, in plants – everything around you is also your Self. We live in difficult times. It is harder to find the joy in life – and always more essential. 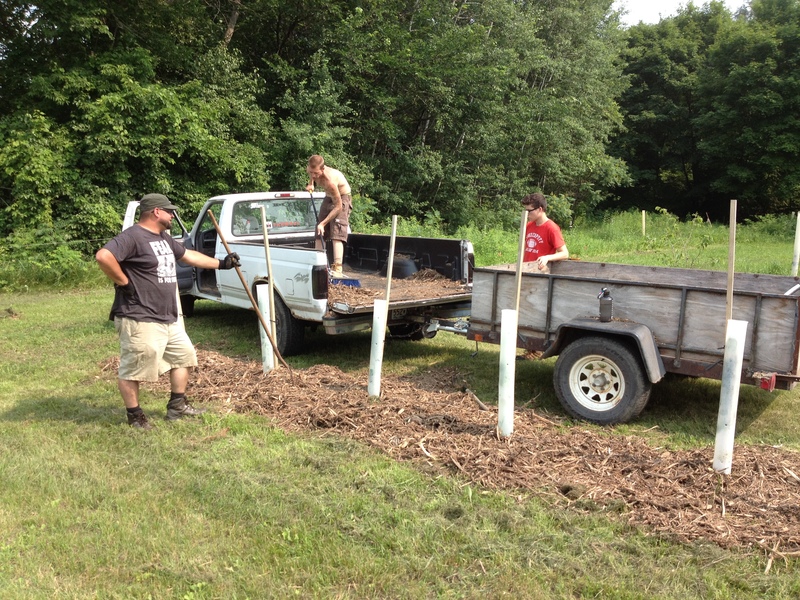 We transplant lots of raspberry plants, and prune the ones that are left. We do this as friends of the berries, as spiritual practice. You can take as many plants as you want: black, red, and gold raspberries, and/or strawberries. Black raspberries are ripe and offered for your eating. Temperature will be 70-77 degrees and sunny. RSVP for address, directions, and so I can expect you. Shodo.spring@gmail.com. (“Maybe” is also helpful information.) Between Faribault and Northfield, MN. The newsletter will include an essay, upcoming events, and major future events. I’d like to highlight two events: April 27-29 weekend in Columbus, and Land care retreat May 25-28. Please see new thoughts at “Journal”, which includes ramblings, responses to things in the news, links, and miscellaneous – unedited. “Study Group” will offer thoughts and support for living the conscious, engaged life as part of the family of life. Neither will have notifications at this time. At the moment there are new writings in Journal. This is an ask for money. It’s hard for me to do, but if I don’t ask you will never know. The article was written for artists, who are famous for not having enough money. It proposed that rather than trying to make it big, an artist could survive with 1000 true fans – people who went to every concert or bought everything you produced. The idea was that such fans spend about one day’s income per year on your work. If that amount is $100, you have an excellent income. My adaptation of it is like this: Instead of chasing foundation grants, which takes a lot of time and produces usually nothing, I’ve chosen to earn a living – which takes a lot of time and produces enough to live but not enough to move forward with the Alliance. I’m inviting you to offer support to the Alliance, at whatever level would feel good to you. You can donate yearly, monthly, even daily. You can donate $5, $10, $100, $1000, any amount. Fees are small. There are over 200 subscribers to this blog; I don’t know many of you or even why you’re here. But if 20 people chose to donate one day’s income per year, and you averaged $36,500 income, I would have $2000, which would cover Internet fees, brochure printing, the accountant, and some more. If 200 people donated $20 per year, I would have $4000 and could actually move forward slowly. 200x$50 and I can go back to full time Alliance work – or we can pay our debts or something. Internet access, phone use, travel for meetings/teaching/study, printing brochures. Repaying loans, beginning with the solar panel loan, then the loans from people, last loans from me. So that’s it. I’m asking you for financial help if it works for you. The energy is growing, and I’m doing my best to give it what space I can. Meanwhile at the farm – we have maple syrup and box elder syrup (this is less time-extravagant if we cook it inside on the propane stove; we are making vinegar from apples, pears, strawberries, pineapples, and pretty much anything that comes by, and drinking it for health and taste. “We” means me and T.R., a friend who is staying for several months. A different “we” is me and Perry, doing nursery plant stuff because he knows how to grow and also to sell. We’ll have more plants and hopefully some income. I’m trying to save my time for the deeper spiritual work, but the land tempts. We’re below freezing and snow-covered at the moment. Like lots of places. Climate change! 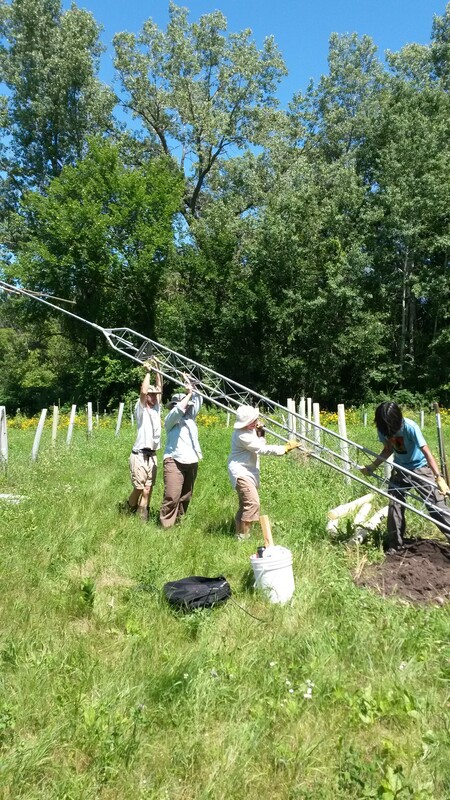 April 21 FARM 12-3 grafting workshop with Sarah Claasen, registration required, fee, two spots left. April 18 ZEN 6:10 Intro to Zen “What’s it good for?” – Northfield Buddhist Meditation Center. 27-29 ZEN and MWA – Shodo is teaching in Columbus, OH. Friday evening workshop, Saturday morning sitting and discussion, Sunday all-day sitting with 2 pm talk. For more information contact Don Brewer. May 1-5: studying with my teacher in Bloomington, Indiana. 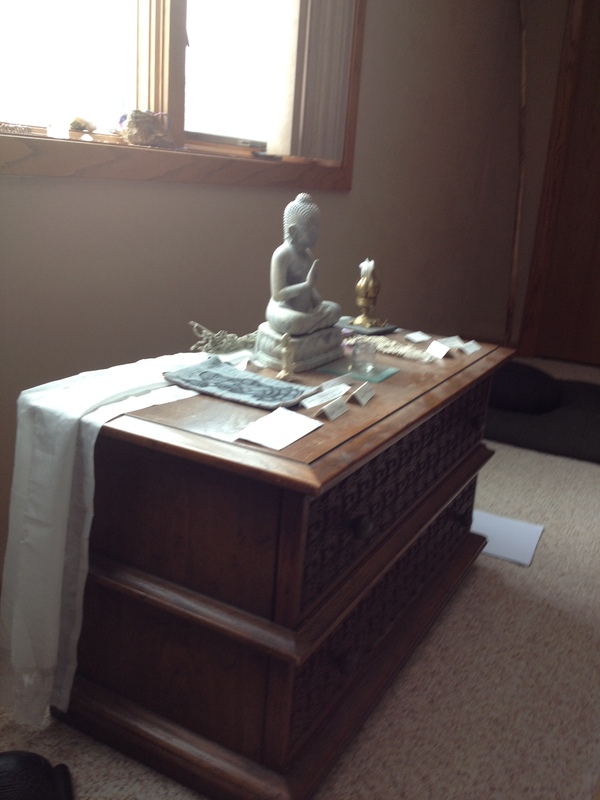 May 16 ZEN 6:10 Intro to Zen – “Spiritual community” – Northfield Buddhist Meditation Center. 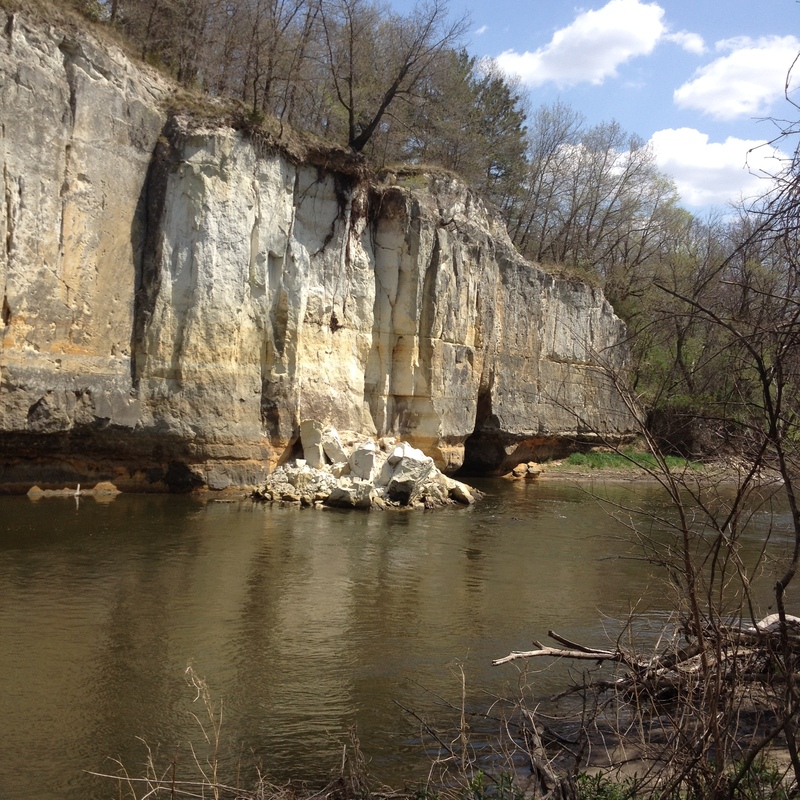 May 25-28 MWA Land Care Retreat – includes meditation, work as practice, dharma talks and discussions, community building. Silent retreats are held almost monthly. If you would like to come to one of these, please contact Shodo directly. An Intro to Zen retreat will be arranged when there are a few requests. Midsummer: I will be traveling to Colorado and could arrange to be available in Colorado, northern New Mexico, and points along the way from Minnesota. Late September: I will be in upstate New York and could arrange to be available. For Zen and farm events, see here. We’ll begin with a few event announcements, then continue with guidance – this time, an introductory essay. 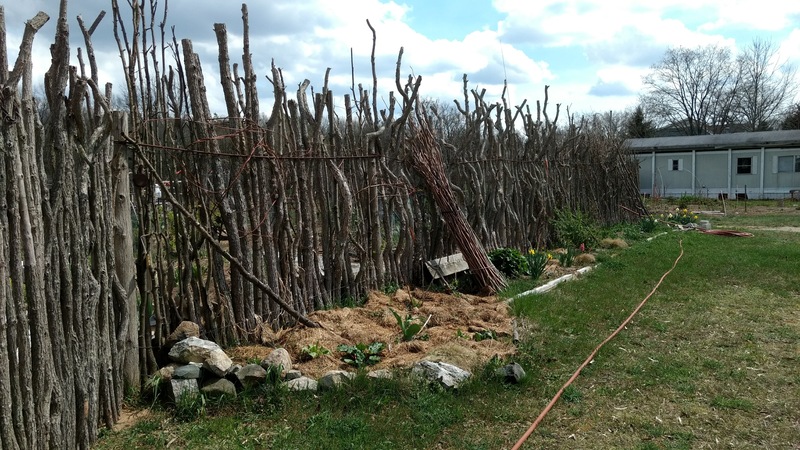 May 25-28: Land care retreat – includes meditation, work as practice, dharma talks and discussions, community building. October 26-28: Land care retreat. 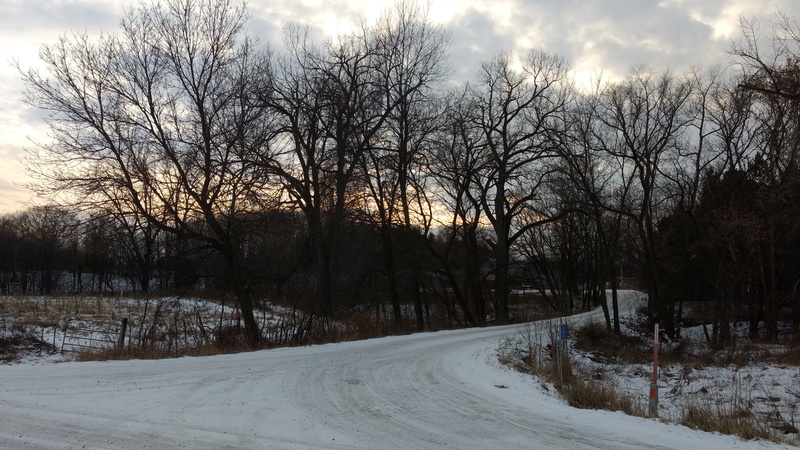 To be determined: Intro to Zen retreat – a full day at the farm, or a half day in Northfield. Silent retreats are on the calendar, not shown here. April 27-29: Teaching in Columbus, Ohio. For farm events including workshops, volunteer days, and potlucks, please see the calendar. For local Zen teaching schedule, please see the same calendar. We’ll begin with a few words on what Buddhist practice means, as a foundation for more later. For me, Buddhist practice is about living as part of the earth, fully sustained and embraced in joy. Usually we think of Buddhism as a philosophy – intellectual, disembodied – or a religion. “Religion” might actually fit, if we understand it correctly. It’s based on Latin words meaning “respect for the sacred” or “reconnecting with the gods,” and until the 1500’s religion was not separate from secular life – even in Europe. Buddhism calls us back to the ancient or indigenous way of relating to the world and to the sacred. It asks us to let go of these ways of life and thought that have been trained into us from birth: humans as special, nature as resource, greed and hate as normal. In Buddhism, greed, hate, and the sense of separation are called the Three Poisons. They’re not natural at all, but it’s difficult to become free of them because of long training and the incessant harping of industrial civilization. The way Life actually works is that each one of us is created by everything around us, past and present, and we in turn give life to everything else, present and future. We are a speck on the wave of Life, never lonely while in a way profoundly alone. Knowing this is freedom. We can drop our burdens, whether those burdens are saving the planet or making a successful career. Life takes care of itself. Our job as individuals is to respond to the movement of Life in and around us. This requires dropping ingrained beliefs, which is why Buddhist practice can be arduous: before we can respond to Life we must be able to see/hear/feel it. Fortunately, even a glimpse is enlivening and energizing, and glimpses are common. This way is joyful. Its hope is not the hope that something will change, but hope that embraces things as they are, joins with them enthusiastically, and responds in kind, with gratitude, creating resiliency without expectation. This way is open to anyone who wants it. We live in difficult times. Words fail. 2018 has seen seven significant school shootings in 55 days. For the moment, I am chanting on behalf of Emma Gonzalez, David Hogg, Cameron Kasky, Jaclyn Corin, Alfonso Calderon, Sara Chadwick, founders of the Never Again movement. If you pray in any way, I invite you to join me in supporting these young leaders as they call us to take our children’s lives seriously. We need to look deeply into the nature of our society. Why are we the only country on earth with this problem of mass shootings including children? It has something to do with our attitude toward guns, yet there’s more: 50 or 150 years ago guns were ordinary and mass shootings were unthinkable. I’m looking at two long essays that describe how we got here. The first is a 2001 interview with Martin Prechtel, offering a completely different way of relating to the world. The second is notes on the concept of wetiko, described in Jack Forbes’ Columbus and Other Cannibals, and elaborated though not named in Kirkpatrick Sale’s The Conquest of Paradise. Both point to a profound dysfunction in society, and Prechtel makes it clear how this leads to destroying our own selves. My question, and the business of the Alliance, is how we change this in ourselves and in the broader culture. For our own survival, it needs to change. I’m not yet ready to write, but will. Meanwhile, praying for the leaders, and doing my best to carry out the work that has called me, which faces and addresses the nature of our shared mind. Yes, it’s about climate change. It’s also about who we are. Everything I want to say is on this website page. Very briefly, if you feel like this work is your work, join this community for support in action, by becoming a member. If you would like to offer financial support there’s a discussion at the bottom of the page, and a link for single or repeat donations of any size. The blog will be more active, probably weekly. It will include events, essays, and teaching – guidance in ways to participate in this work. I’m gradually adding more information in other pages, and will announce when a new page is ready. Hoping to create a sort of library. And personal notes: we’re having winter storms, my car is snowed in, the house is comfortable, a second resident is in a try-out period, and my psychotherapy practice is going well. The Sakyadhita Conference was over a month ago. Please forgive my silence. I’ve been sick, during and after the conference and also in a deep transition state. I will just write a little now. The conference was an immersion in the varieties of Buddhist women – particularly the many kinds of nuns. Those of us in Japanese traditions, wearing black and having wide lifestyle choices, were very few. I made friends with a wide range of nuns who lived with full vows – celibacy, wearing robes all the time, living monastically, depending on gifts for food and shelter any day. Just one example: a woman from Australia, in the Tibetan lineage, who was raising money to support children in India – and wouldn’t think of taking any of the donations to support herself. She had lived at a homeless shelter, in a van, on a beach, and was currently on her mother’s couch. So she’s raising money to start a monastery so Western monastics in Australia will be able to live the full monastic life. Meeting these women, it didn’t seem like the vows took anything from them at all – but liberated them to fully live out the Dharma, each in her own particular way. That’s probably an extreme oversimplification. Just two women came to my workshop, titled “Asking all beings for help with climate change.” We had a lovely discussion, and after the conference was over we walked together to “the peak.” On our way up, Janet (a Hong Kong local) took us to a Buddha carved into the hillside – Amitabha. We spent an hour there, finding it difficult to leave. At the top of the hill was an ordinary park, with a water fountain, exercise stations, grass, and a tree identification walk. Janet and Sophie returned, I continued – wanting to spend as much time as possible. My way has been to notice where I’m drawn, to have conversations with those, and to be present as fully as possible. What those conversations mean, I don’t know. I’ve said that humans are not the only conscious beings on the planet; this is how I try to work with that understanding. I asked this tree to give fertility in my work. Thought she said yes, but I stopped again on the way back and she said let go, let go, let go; trying is the obstacle. The tree with the great roots offered endurance. The waterfall was full of light, life, youth. She did not give permission to share photos, except of this formation which seemed to me like the face of the spirit of the falls. I could have stayed forever. Coming back down the hill, I went back toward the Buddha. This time I saw another figure in the rock wall: a carved dragon and phoenix. So I stopped for conversation. Something important happened here; I’m still trying to realize it. I asked if they had something to tell me; they said “We’ve been doing this forever.” (This is the dance of creation.) I asked if I could give them something, and they said no – they didn’t need a thing. And I asked if they would help me. The response felt like laughter: “You are just a speck on the waves of the universe. You are nothing.” I felt an incredible lightness, the weight of the world suddenly off my shoulders. The Buddha was a little gentler, offering laughter. And – what is this? I never thought I was singlehandedly trying to stop climate change, yet the words I’ve used about the Alliance have suggested that its purpose is to organize (beings of all kinds) for the healing of life on earth, including human consciousness. Suddenly I realized that I was engaged in trying to make things happen. Some of my friends immediately understood. Beth said that letting go makes one more effective. So I got sick. It turns out it wasn’t just jet lag, it was shingles, and I’m just beginning to return to functioning while my body still hurts. During that time, I interviewed and got a position in a psychotherapy clinic – so I’ll be reactivating old skills, doing work I like, and spending about half my week doing that professional work. It feels like the right step at this time. I’ll write a separate note about things happening on the farm, and a volunteer day this coming Saturday. But next Sunday, August 6, I give a dharma talk at Clouds in Water Zen Center, in St. Paul. Here is information, if you’re in the area and would like to come. Look for “Sunday community service.” Address is at the bottom of the page. That was the list that showed up in my mind this morning. Feel free to add or change. The method I use for healing energy is like this: Create a powerful healing vortex (just imagine it). Strengthen each of the items on the list. Then strengthen the relationships between and among them – in twos, threes, and/or all together. You can feel when it’s done. Of course, use whatever form of prayer or healing energy makes sense to you. I’d love to hear if you do it. I noticed, suddenly, that I am at war with the way things are. 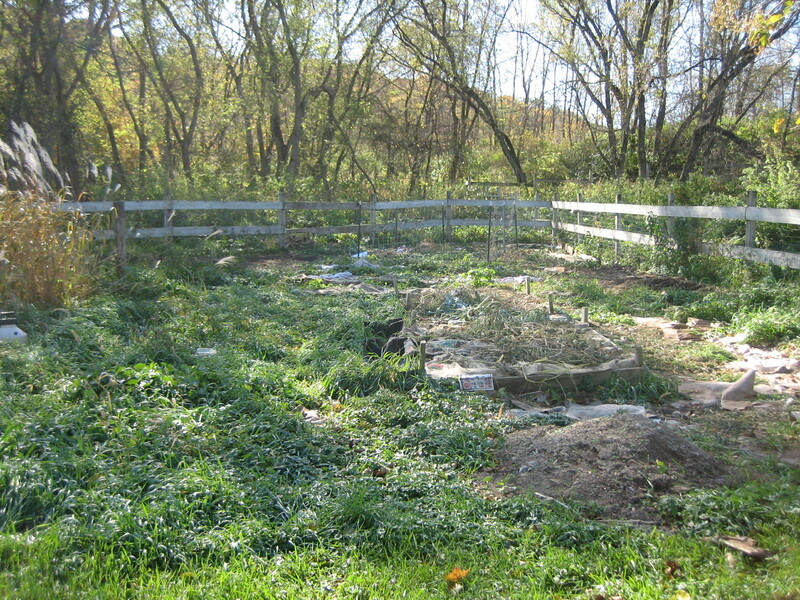 Last summer, I noticed being at war with buckthorn, grasses, and pocket gophers – beings of nature that act like civilized humans, taking all the space, destroying what gets in their way – and interfering with my food supply. This was a disturbing realization, and I’ve been studying it. Now it’s clear that my war is bigger. I’m at war with the whole way things are, particularly the human world. I’ve made a noble cause of it, called “healing the mind of separation,” and “releasing human arrogance,” but truth is I really really want the civilization around me to change or perhaps self-destruct before it destroys life on earth. Suddenly I saw my own war, saw how I am just like the system that shaped me – not free – and still part of the problem. Actually, it’s a relief. As I wrote beautiful words about what the problem is and how we need to change, there was a little uneasiness. Now I know why. Something inside me had to move. I had to fall down, had to lose my hubris. So I’m glad to be present with this uncomfortable awareness. So I write today from the middle of uncertainty and unraveling. If I waited for the answers to become clear, that would be waiting to return to hubris. But I can meet you here in the empty space; we’ll see what offers itself. Meanwhile, life continues. Housesitter wanted June 11-July 1, while I’m at the Sakyadhita Conference. A little work, a wonderful space, and garden vegies or foraging. Otherwise, someone to do a little work (house plants and mowing) during that time – volunteer, barter, or paid. Donations: If you would like to support my travel to Sakyadhita, anything will help. Seriously – from a $20 donation we get $19.12; from $5 we get $4.55. Here’s the link for donating, and much more information. A ride to the plane (for Sakyadhita) June 11 morning, and back July 1 about 9 pm. Residents and/or farm managers – Possibilities are still open. Please contact me if tempted. Strawberry plants, raspberry plants, and various other things are available for purchase – or freely given to volunteers. Just ask. These are dates for group volunteering. You can arrange to come at other times. PLEASE LET ME KNOW WHEN YOU PLAN TO COME. May 27-28 Planting garden, pulling buckthorn, maybe weeding. Take home healthy berry plants for your own g arden. June 10 A short day, 9-2 or so. More of the same. July 8-9 We’ll start at 10 am with a 2-hour presentation on permaculture. Then get to work – after lunch. July 17 & 26 A student group will be working here 9-5. Your company is welcome. August 5-6 Early harvest? Stockade fence? More orchard work? Sept 9-10 same as August. Nov 11-12 Late harvest and closing down for the season. You can arrive at 9 or 1 any day, stay for a half day, a whole day, or stick around for potluck, community time, even overnight. Any time except June 10. Lunch is offered if you are here. Snacks and water during work time. Potluck is flexible – there’s always pizza in the freezer, and the magic nettle soup – but your contributions are also welcome. Same for breakfast in the morning. Community time could be: walks, woods and river time; foot rubs; music; making ice cream; Q&A on Zen, permaculture, world events, or whatever. Sunday morning zazen is at 6 am, if you’d like to join. Ask for instruction if you need. The projects named may change. If you have a particular skill or crave a particular kind of work (chain saw, building, digging, planting….) let me know. Ask if you need carpool help. There’s a serious possibility you might go home with berry starts, herbs, or something else, if you want. AND LET ME KNOW WHEN YOU PLAN TO COME. June: No retreats because I’m traveling. July: retreat at the farm July 15-19 (ends at noon). Please note: when alone, I just sit zazen all day. When people join me, I can offer zazen instruction, introduction to Zen, dialogue, and mindful work opportunities. August: retreat at the farm August 19-23. October: retreat at the farm, October 21-26. June 7, July 5 & 19, August 2, 16, & 30: The Northfield group will meet less formally during the summer, open to questions, discussion, and topics. We’ll still meet 6:25-8:30, with sitting meditation at beginning and end. Please bring your questions. Located at Northfield Buddhist Center, 313½ Division St, Northfield (park in rear). June 24 or 25: At Sakyadhita International Conference of Buddhist Women, I’ll be offering a workshop. It’s in Hong Kong, so you probably don’t want to come. Sept 1-4: I will offer at least one workshop at Gathering of the Guilds, a Midwest permaculture gathering held just three miles from here. January 13, 2018: One-day retreat with Red Clay Sangha in Atlanta, Georgia. January 14, 2018: Dharma talk, Red Clay Sangha. I’ll post other scheduled talks on the calendar here. If your group would like to arrange a talk, workshop, or retreat, please get in touch. Your financial contribution can help this work flourish. Make a single or recurring donation here.